All season long, UC Davis touted its offense as “Shredville”. And rightfully so. Junior quarterback Jake Maier shredded the Big Sky Conference to the tune of 308 passing yards per game and threw 31 touchdowns in offensive coordinator Tim Plough and head coach Dan Hawkins’ NFL-influenced spread offense. Maier, the Big Sky Offensive Player of the Year, was the field general for an offense that scored at least 44 points in the first eight games against FCS opponents in the 2018 season. Keelan Doss, a surefire 2019 NFL Draft pick who earned Big Sky Offensive Player of the Year honors last year, received absurd attention yet still caught 100 passes for more than 1,000 yards as the Aggies shared their first Big Sky title in school history. With a veteran Northern Iowa team making its 20th FCS playoff appearance — only Montana (23) and Eastern Kentucky (21) have more — coming to Aggie Stadium for the first Division I playoff game in the history of a school with a rich Division II lineage, UC Davis had to use an entirely different formula to outlast the Panthers. Northern Iowa forced the Aggies to settle for field goal tries on four different trips inside the 20 and allowed an offense that had scored 58 touchdowns entering the game just two trips to the end-zone. Maier threw two interceptions in a single game for just the second time this season. None of it mattered. UC Davis’ defense took the ball away twice in crucial situations, including answering the second Maier interception with a Vincent White pic6k just minutes later. 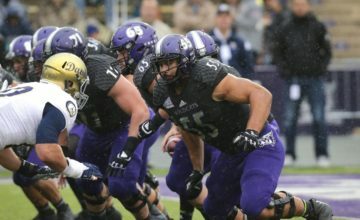 The Aggies absorbed every surge from UNI’s high-pressure defense, never trailing after Maier hit tight end Wes Preece for a four-yard touchdown to take a 10-6 lead with 45 seconds left in the first quarter. 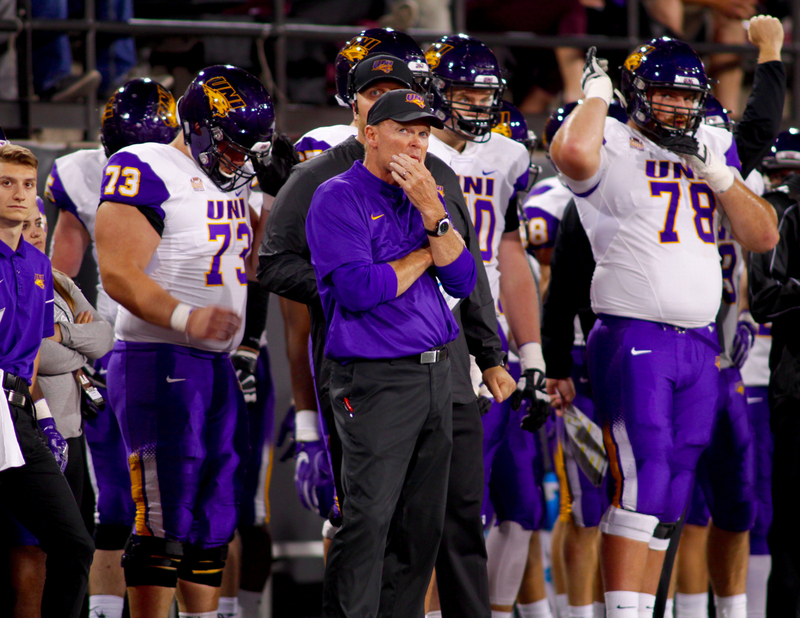 UNI railed from a 23-6 deficit to cut the lead to 23-16 early in the fourth quarter. But Davis ran the ball with authority in the fourth quarter and made huge defensive plays throughout the final frame to seal a gritty 23-16 win on Saturday night at Aggie Stadium. 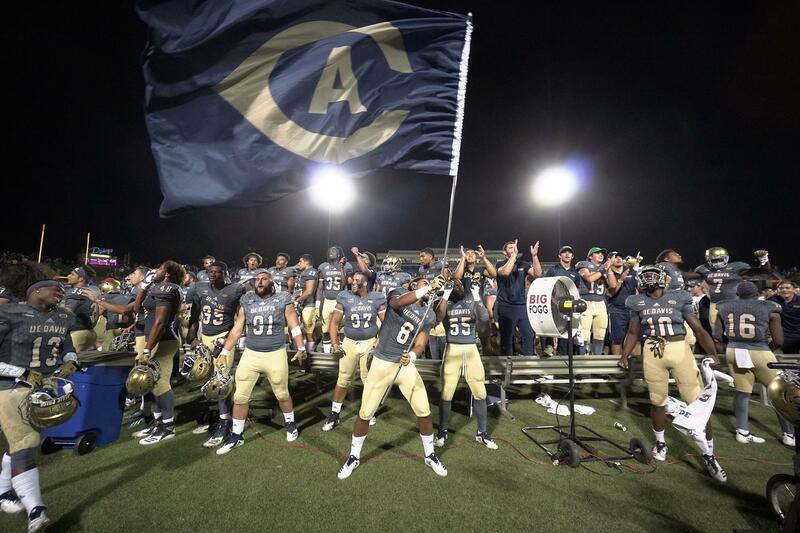 UC Davis advances to the quarterfinals of the FCS Playoffs for the first time. The Aggies will take on third-seeded Eastern Washington, a 42-21 victor over Nicholls State on Saturday. 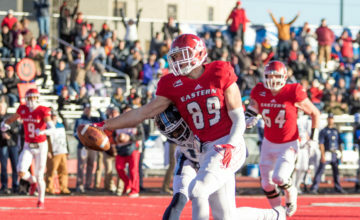 The Aggies and Eagles shared the 2018 Big Sky championship with Weber State but EWU handed Davis its lone league and FCS loss in dominant fashion. Eastern rushed for 372 yards in a 59-20 win on November 10. Saturday, Maier found Doss eight times for 128 yards in the first half but UNI bowed up in the red-zone throughout the first 30 minutes. On three of UCD’s four trips inside the Northern Iowa 20, the Panthers forcing field goals against an offensive attack that converted 91 percent (49-of-54) of its red-zone trips during the regular season. The hosts took a 16-6 lead thanks to field goals of 24, 35 and 19 yards from kicker Max O’Rourke. Austin Errthum, who entered the game second in the FCS in field goals made with 21, capped UNI’s first two possessions with field goals of 41 and 36 yards. After halftime, UNI amped up its press coverage on the outside, bracketing Doss and allowing him just one more catch the rest of the evening. The Panthers also put constant pressure on Maier, sacking him twice and forcing a few errant throws, including an interception by Duncan Ferch to thwart Davis’ fifth trip to the red-zone. But Northern Iowa went 3-and-out, setting for a 51-yard field goal attempt that fell well short. Davis responded to the missed UNI opportunity by driving 66 yards in just five plays, including a 45-yard bomb from Maier to sophomore Jared Harrell, who made an acrobatic, falling catch to the UNI 20 through double coverage. Two plays later, redshirt freshman running back Ulonzo Gilliam punched in his 10th touchdown of the season from two yards out to give the hosts a 23-6 edge with eight minutes left in the fourth quarter. In a game that went back and forth for most of the night, Northern Iowa swung back again. UNI senior quarterback Eli Dunne found freshman Deion McShane, the younger brother of Western Illinois two-sport standout Steve McShane, for a 43-yard gain. An 18-yard rush by Trevor Allen set up Allen’s one-yard touchdown plunge to cut the UCD lead to 23-13 with six minutes left in the third. The Panthers kept a grip on momentum as Austin Evans picked off Maier on his first pass of the next possession and returned the pick 20 yards. On the very next play, White, an All-Big Sky selection as a senior, proved why, picking off Dunne and returning it 21 yards. UNI cut the lead to a single score when Errthum was credited for a 45-yard field goal that was clearly wide of the right upright from every possible angle on slow motion replay but was not reviewed. Davis’ lead was down to 23-16 with 14:09 left. Following White’s interception, Maier completed just one of his next six passes and was sacked twice to help UNI hang close. After Errthum’s phantom field goal, Davis went 3-and-out. Northern Iowa responded with a nine-play drive to set up a 42-yard kick for Errthum, who missed wide left this time with 9:26 left. Maier, who threw for 310 yards, started the next pivotal possession by finding Preece for a 25-yard gain. The Aggies ran the ball eight times in a row to eat up nearly five minutes of game clock and stole UNI’s second timeout. But that possession ended in a missed field goal from 38 yards away. Andrew Wilson stuffed UNI running back Marcus Weymiller on a third and short to bring up a 4th down with 3:17 left. Northern Iowa head coach Mark Farley lined Weymiller up in the Wildcat in 4th & 1 and the senior gained 17 yards. A false start two plays later set up third and fourth downs needing 10 yards. Farley burned his final timeout with 2:11 remaining. 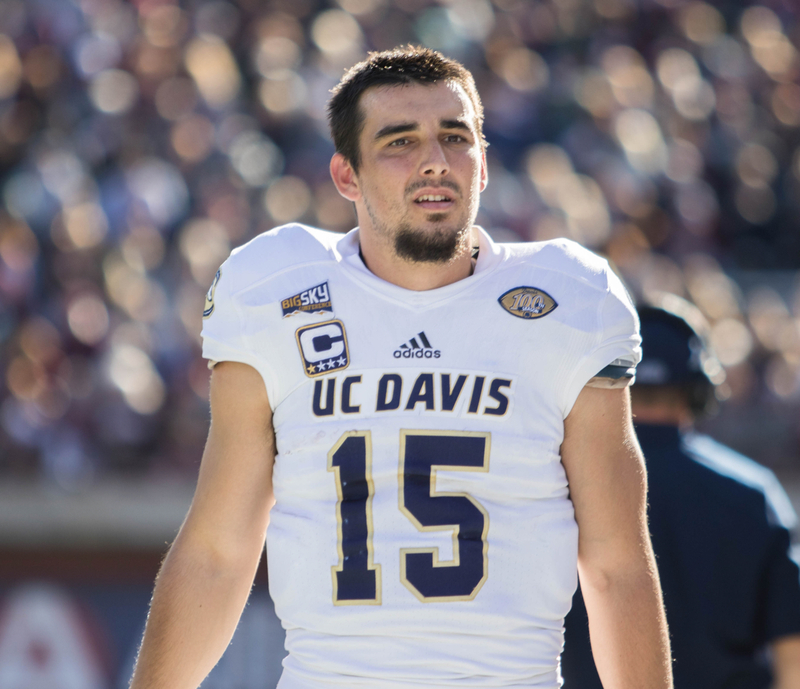 Senior tight end Briley Moore dropped Dunne’s third down attempt and UC Davis outside linebacker Mason Moe broke up a last-gasp attempt intended for Moore on fourth down. UNI’s season ends with a 7-6 record that included an impressive 24-9 effort against South Dakota State and an 16-13 win over Lamar in the first round of the playoffs last week. 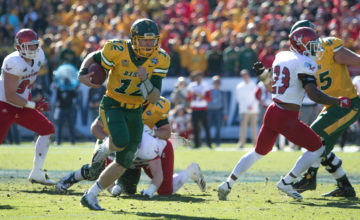 Dunne threw for 273 yards in his final college game. Redshirt freshman linebacker Bryce Flater had 11 tackles, including 10 solo tackles and five tackles for loss for the Panthers. UC Davis won an unprecedented 20 consecutive conference titles between 1970 and 1990 while playing in the Northern California Athletic Conference. The team did not win the NCAC in 1991, then won it again in 1992 and won the American West in 1993 in Bob Biggs’ first year at the helm. Jim Sochor led the Aggies to eight Division II playoff berths, advancing to the quarterfinals in 1978, 1984, 1985 and 1986, to the semifinals in 1977 and 1983 and to the 1982 D-II national championship game. Bob Foster went to the playoffs in 1989 and 1992. Biggs made it to the D-II Final Four in 1996, 1997, 2000 and 2001 during a stretch of seven straight playoff berths between 1996 and 2003. The Aggies moved up to Division I in 2004, beat Stanford 21-17 in 2005 for one of the biggest upsets in college football history and finished no better than 6-5 in any year since. 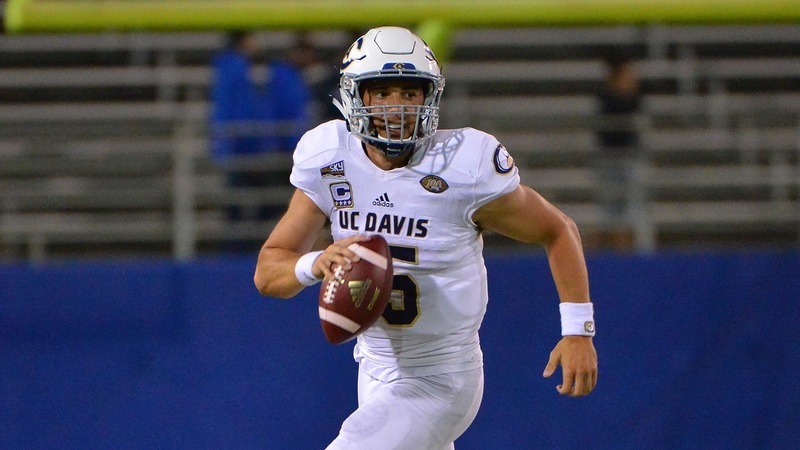 Now UC Davis has a chance to redefine its reputation as a Division I member with a berth in the Elite Eight of the FCS playoffs.